This review highlights the problems there are with the Dominant Finance company. 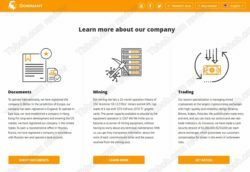 Dominant Finance is a company that proposes investments in mining and it is also managing cryptocurrencies on exchanges, it is trading with them. The investment plans offer a minimum revenue of 10% per month, meanwhile the maximum is 20% per month. Plus, you can get additional tens of percent in the affiliate program from the deposits of people you referred to the program. It might not seem obvious at first sight, but Dominant Finance is a scam. 10% per month might not seem too much, it would mean 120% per year, which would mean 20% net per year in crypto mining. But even 20% is too high for current crypto prices. But Dominant Finance is offering up to 20% per month, which would mean 240% per year, 140% net per year, and this is plain impossible in crypto mining nowadays. 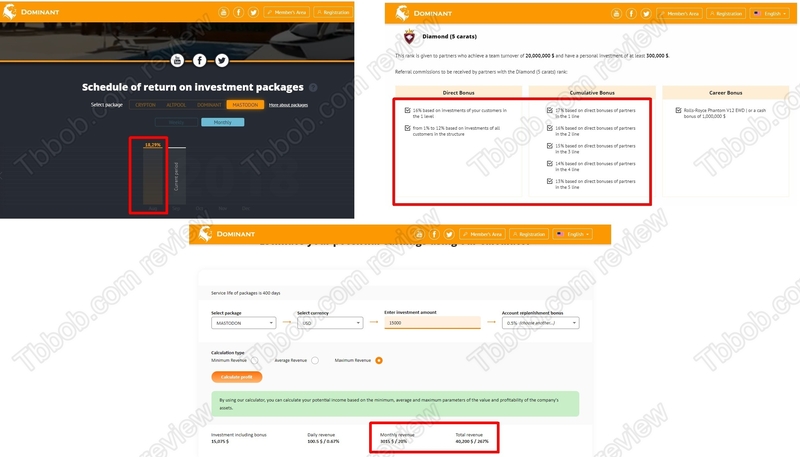 Also, they guarantee a minimum return, which is another sign of scam, because such a thing cannot be guaranteed, because there are unknowns that cannot be influenced (future crypto prices, mining difficulty). And that’s not all. The affiliate program offers additional tens of percent across several levels. Plus, Dominant Finance would not do all this for free, they need a certain percentage for themselves to run the company. Sum it all up and Dominant Finance would have to generate more than 50% per month in mining, which is totally impossible. This leaves us with only one possible outcome, it is a scam. Dominant Finance is not hiding that it is a company providing investment services. They don’t say you are renting mining power, they say you invest into mining hardware and get profits. Moreover, they say they do trading and asset management. All these are activities that are regulated, so you need a licence from a financial regulator valid in every country you target. But Dominant Finance is not regulated in any country, they have just basic tax registrations that are not authorization to provide financial or investment services. On our picture you will see the situation in the UK. The company is only four months old, it has no proven history. There are some more red flags with Dominant Finance. For example, their webcam that is supposed to show you their mining rigs in real time is currently not working. Also, the link to the transparent crypto wallet where you could see all the transaction is not working either. Their claims about insurance of funds are obviously bogus, the screenshots from exchanges don’t prove anything, they can be faked in seconds. An insurance must be provided by a third independent party, otherwise it is worth nothing. Because of the very high returns and extremely generous affiliate programs with fancy cars and other things it is clear that Dominant Finance is a multi level Ponzi scheme. 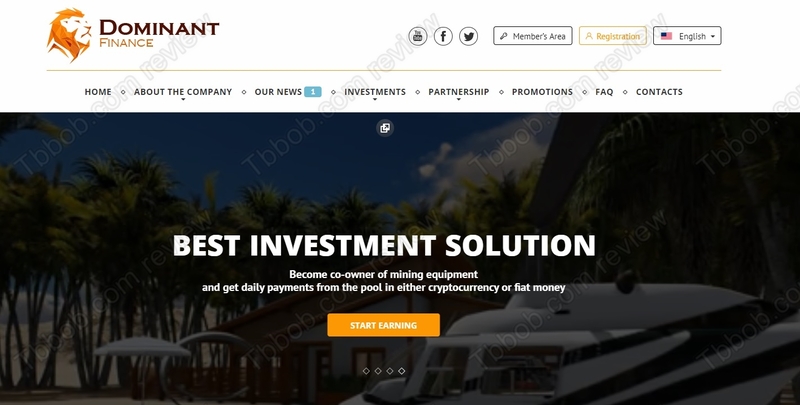 This means that it might pay some profits at the beginning, but the deposits will be used for that, there is not any significant revenue generated in mining, nothing that could sustain the investment plans. So, it will fail, the only question is when. Dominant Finance is an obvious scam, it offers impossible returns. Stay away from it! 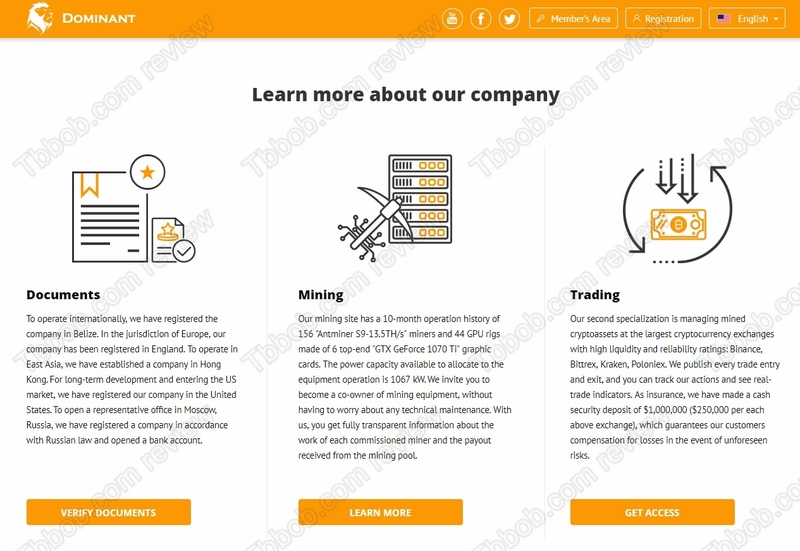 Mining is not profitable nowadays, currently you can make money in crypto trading, but it requires learning and building your own profitable strategy. You can try it on a free demo with a regulated broker. And don’t forget that in trading you can make, but also lose money, so be responsible.